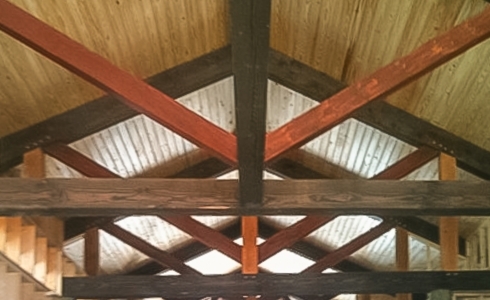 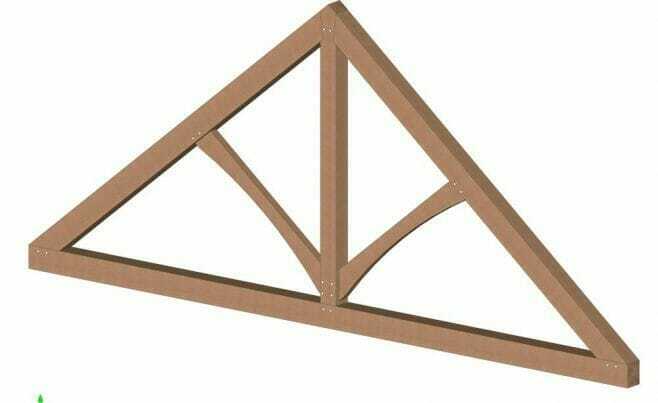 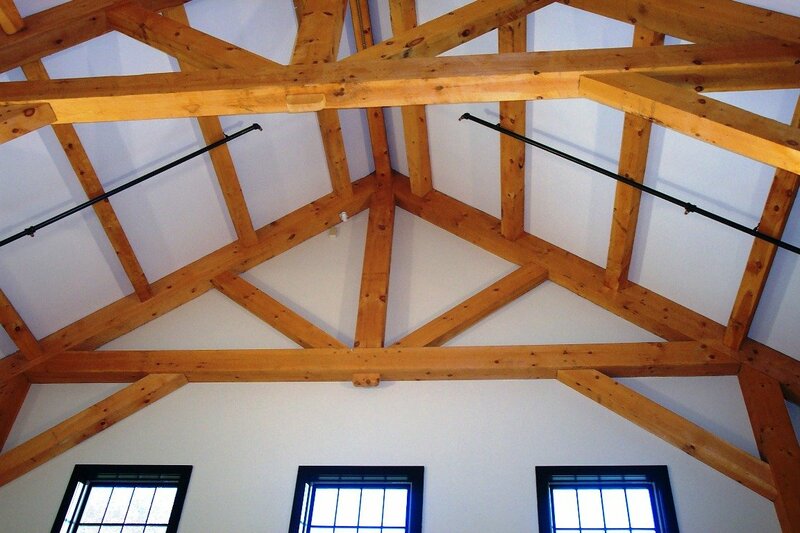 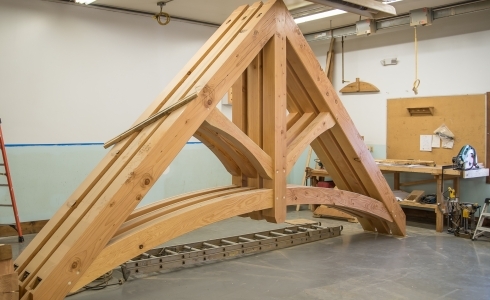 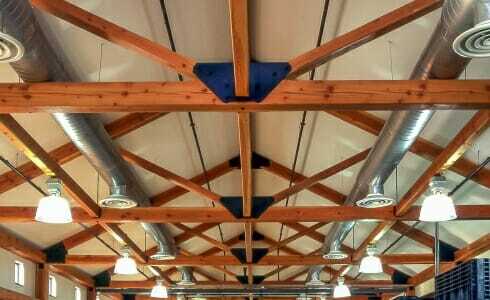 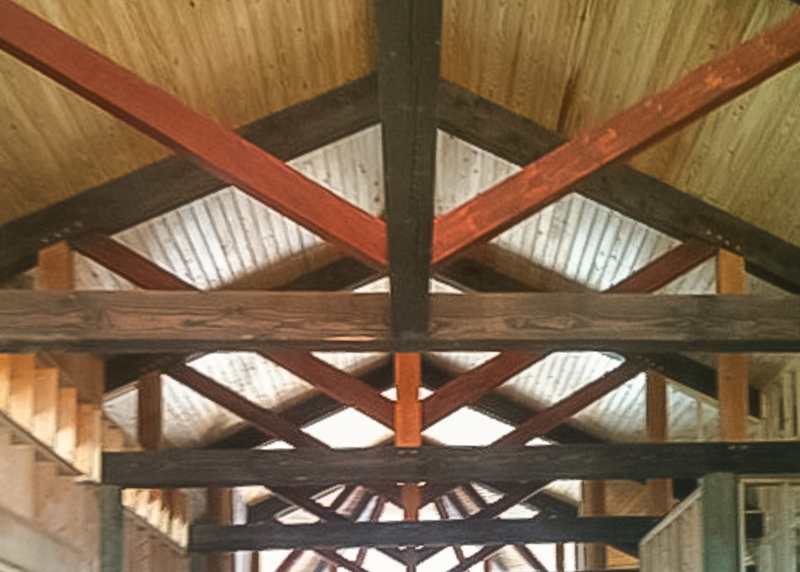 King Post Roof Trusses are the most cost effective truss, and they look great when curved braces and webs are used. 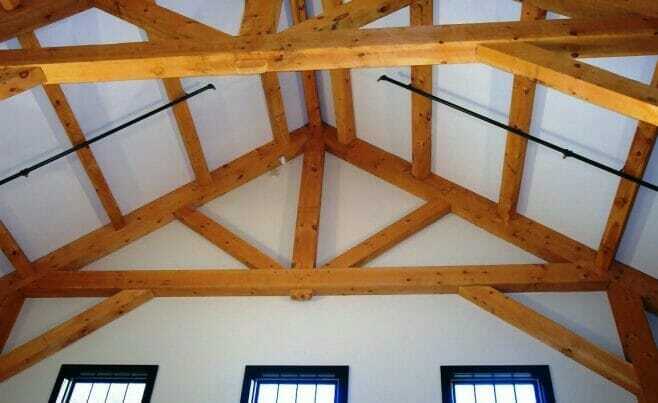 A king post truss solves many structural problems as well. 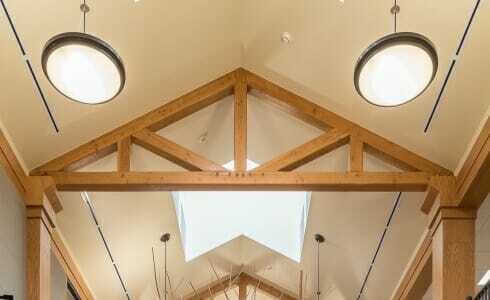 Its bottom chord acts as a ‘tie’ for the room, holding the walls from spreading. 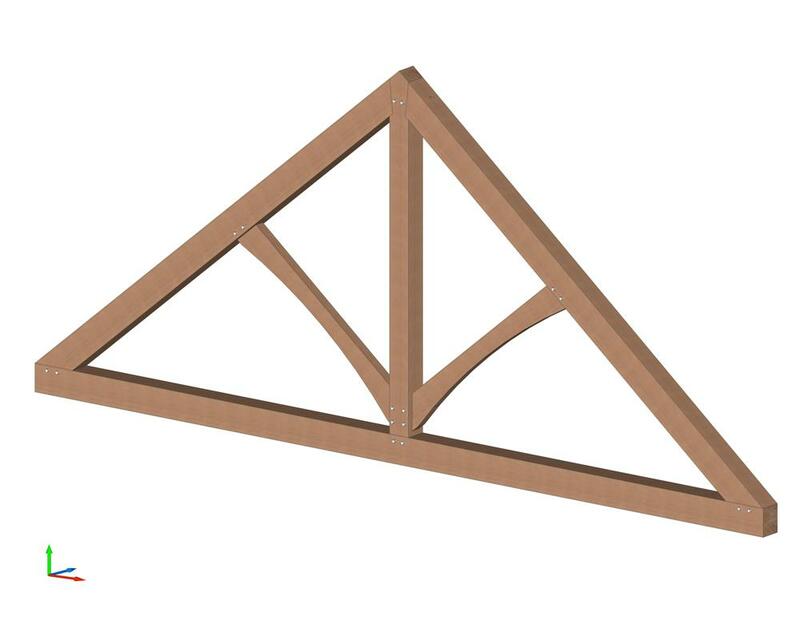 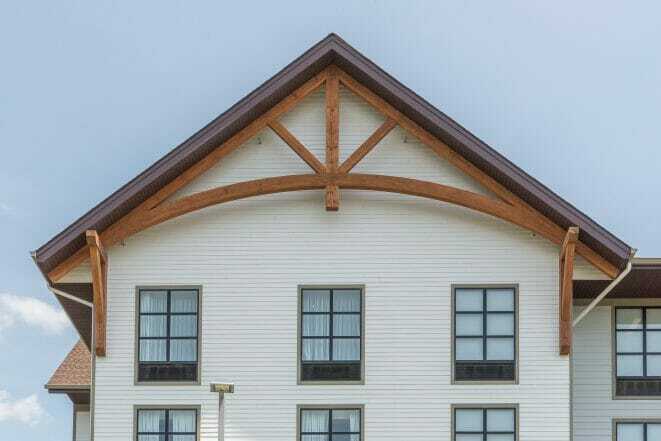 In the South, a king post roof truss may be able to span 36 feet with 16 foot spacing, where the same truss in a snow belt up north may only be able to span 24 feet with the same spacing. 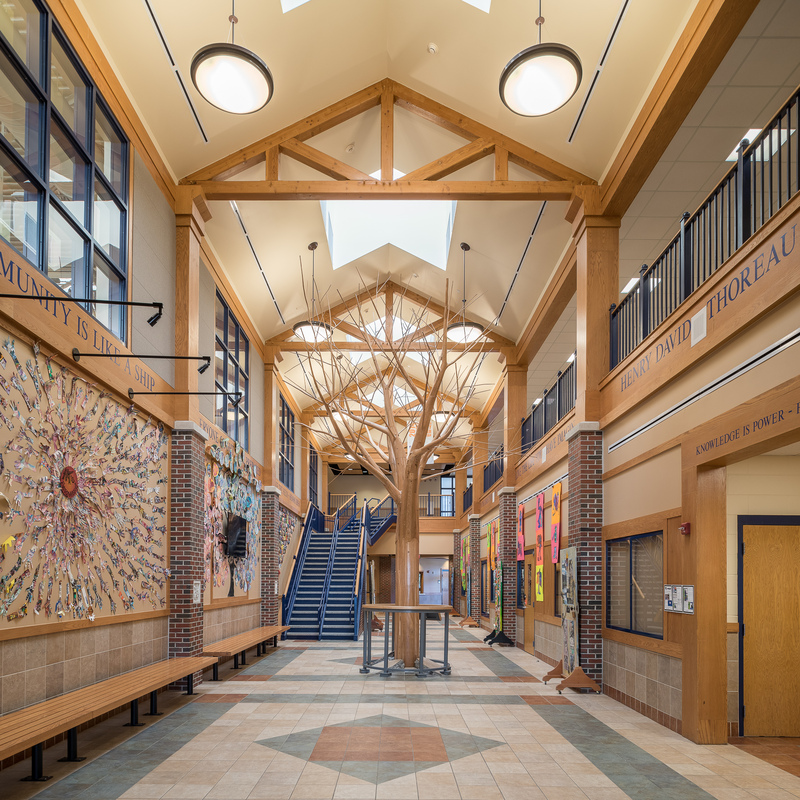 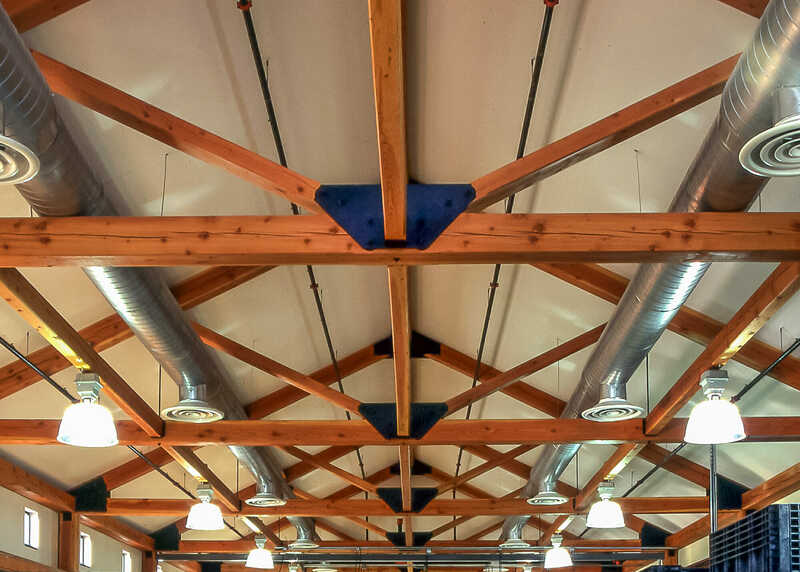 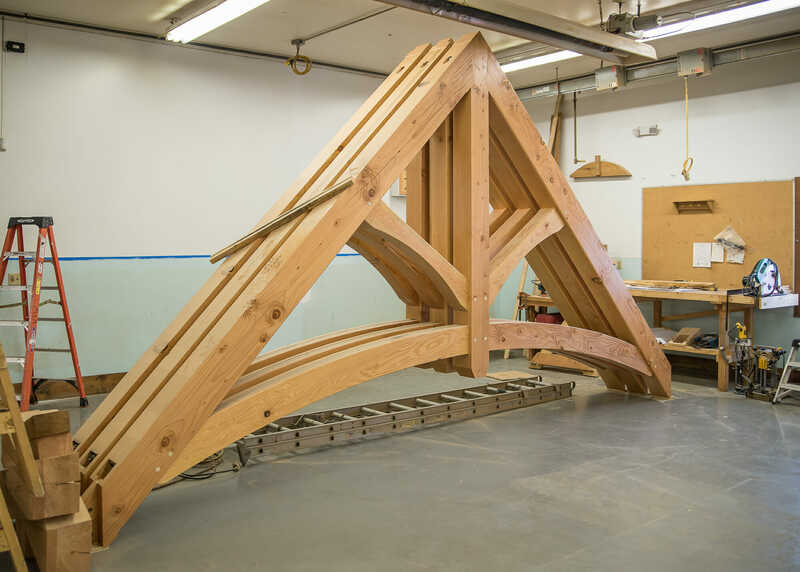 We size all of our truss members for the exact region where they are being installed and we provide detailed shop drawings with a structural engineer’s stamp.